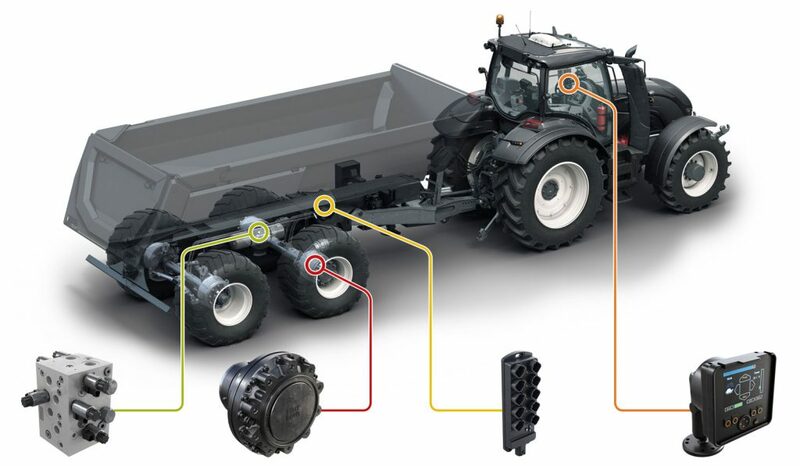 Black Bruin On-Demand Drive System is a complete transmission solution for tractor-driven trailers and working equipment. The system enables smooth operation of the equipment and is designed for agricultural, forestry and earth-moving applications which often require tractive power in harsh conditions and varying terrain. The heart of the system is Black Bruin B200 wheel motor which generates tractive power always when needed and for road speeds, can be freewheeled without active hydraulics.